A curious thing happened to Tim Wallace-Murphy and Marilyn Hopkins when they published Rex Deus, their first book on the bloodline of Christ: they were contacted by a man from the very lineage they were studying. And instead of denying the existence of the bloodline or berating them for revealing secrets, he actually confirmed that the Rex Deus lineage exists and even disclosed some of its fundamental secrets. The story of the Rex Deus families, direct descendents of Christ--who is believed to have survived the crucifixion?turns out to be much more extensive than the authors first thought. Instead of beginning during the time of Jesus, it stretches far back into antiquity, to the Egyptian Mystery Schools. Instead of being only a propagation of the holy bloodline, the Rex Deus families are also carriers of the secret teachings of Jesus. 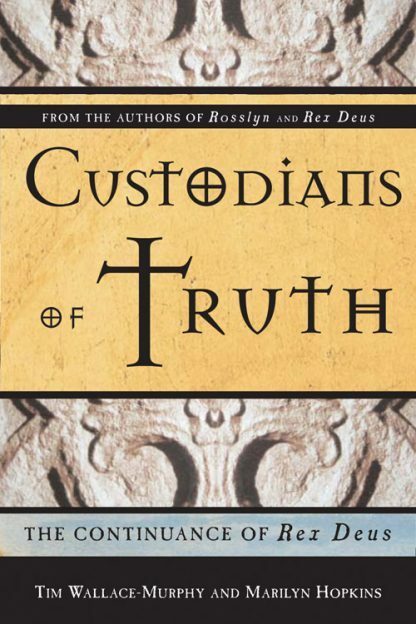 Custodians of Truth reveals the purpose and secrets of the Rex Deus lineage. Jesus was not only a holy man, but an adept of ancient knowledge, which informed his own teachings. This secret knowledge was suppressed by the Church in their voracious quest for power and influence in the secular world. These teachings have manifested throughout history in different forms--Gnostic philosophy around the time of Jesus, the Order of the Knights Templar, Freemasons, and the current resurgence of interest in New Age thought. Finally, the time is right for the hidden message of Jesus to be revealed--a message of tolerance, brotherhood, and respect for nature. The next chapter in the legend of the Holy Grail and the bloodline of Christ-from the best-selling authors of Rosslyn. Marilyn Hopkins is co-founder, with TIm Wallace-Murphy, of the European Templar Heritage Research Network and co-author of Rosslyn. Tim Wallace-Murphy is an author and lecturer with an international reputation. He is the driving force behind the creation of the European Templar Heritage Research Network and author of Rosslyn and The Mark of the Beast.